Paper Makeup Stamps: It's time for another Rethink day! Sorry this post is going up a little late today everyone! Today is another day to rethink! If you dont have a clue what i'm talking about, this month all the Paper Makeup Artists are "rethinking" their very first PMS card! You can read the details HERE! Today it's Senior Paper Makeup Artist Lisa Kind (one of our very first design team members!) and one of our most recent and fabulous addition to the design team, Danni Bindel's turn to share their remakes! 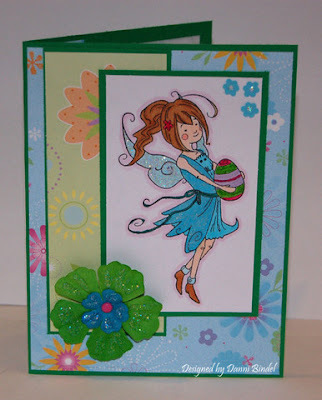 Here is her very first PMS card using one of our very first fairies, Chelly. Below is her remake... she added on a sentiment from the Fairy Sentiment Set, which wasnt added into the Paper Makeup Stamps collection until a few months after she made her original card. Both of them are pretty great if you ask me! 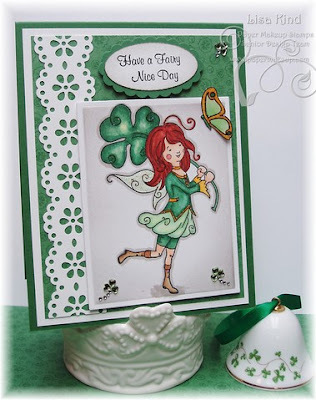 And next up, are 2 more fabulous cards by Danni Bindel. 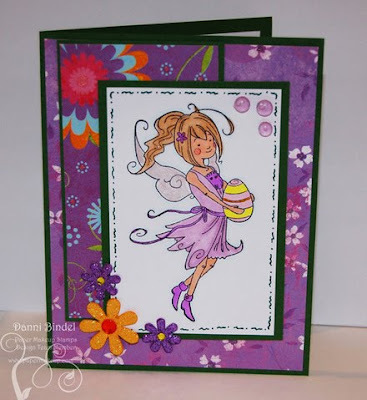 Above is her original using Elle the Easter Fairy. 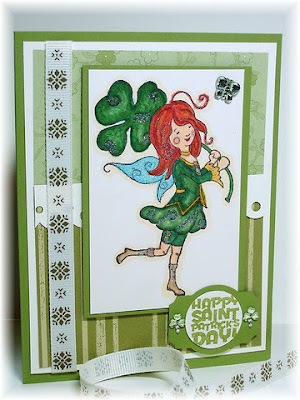 And below is her equally adorable Elle card! So have you made YOUR remake yet? These are all gorgeous. Both the originals and the rethinks are fabulous! all of the cards are great! I love the rethink Idea... so fun!! !